UPI announces that American singer Stevie Nicks will perform on the Season 1 finale of The Voice, which airs on NBC, together with other singers such as Pat Monahan, Ryan Tedder and Miranda Lambert. Singer Stevie Nicks is one of the guest voices in the season 1 finale of “The voice” show. She and guests Pat Monahan, Ryan Tedder and Miranda Lambert will be singing in duets with the finalists of the competition. The four finalists are to perform on Wednesday in Los Angeles. The winner will be announced at the end of the last episode of the season. “The Voice” is the American version of the European show “The Voice Of Holland”. It is hosted by Carson Daly and it features music coached such as Christina Aguillera, Blake Shelton, Adam Levine and Cee Lo Green. They are working with the most talented music contestants through various phases of the competition. Nicks will be singing with Javier Colon for team Adam Levine. Pat Monaham will perform with Vicci Martinez for team Cee Lo Green. Team Blake Shelton will be entering the final competition with a duet of Dia Frampton and country singer Miranda Lambert, Blake’s wife. The fourth team, Christina Aguillera’s, will show up on stage with a duet formed by singer-songwriter Ryan Tedder and finalist Beverly McClellan. 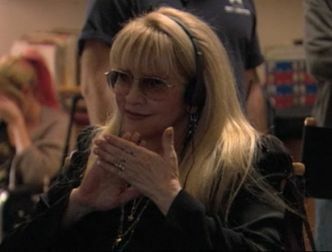 The expectances of the public were that rocker Beverly would sing with Stevie and that Javier would share the stage with Monahan. Nevertheless, the audience will be high as everyone is excited to see how the consecrated singers lead the contestants and push them to give the best they can. Daly reminded the viewers that the show will start an hour earlier.